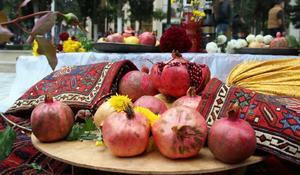 A pomegranate festival was opened in the city of Goychay, which receives guests from the country and from abroad for the thirteenth time this year, Trend Life reports. Analytical agency TurStat has presented a ranking of the best and most popular among Russian tourists gastronomic festivals of CIS countries in the middle of autumn. 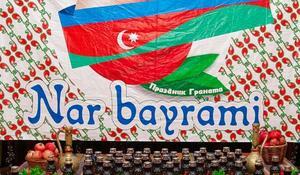 Azerbaijan is a magnificent country that is always welcoming its guests. The Land of Fire has much more to offer its visitors. 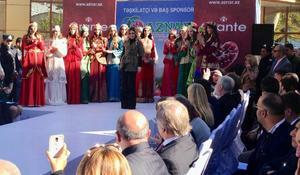 Juicy Pomegranate Holiday is coming soon to Russia. A sprinkling of pomegranate seeds can add sweet-tart flavor into all sorts of fall and holiday dishes. 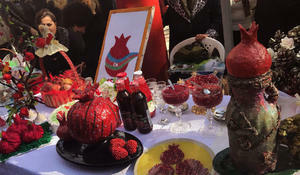 The Annual Pomegranate Festival, one of Azerbaijan’s most loved and colorful festivals, was held in Krasnoyarsk, Russia, Trend Life reported. 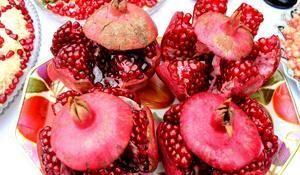 This year, the Goychay region will celebrate the 10th anniversary of one of the country's most loved festivals, the Pomegranate Festival.